The Girijaatmaja Vinayak temple at Lenayadri is located at Lekhan hills, at a distance of about 160 km from Pune enroute to Nasik. 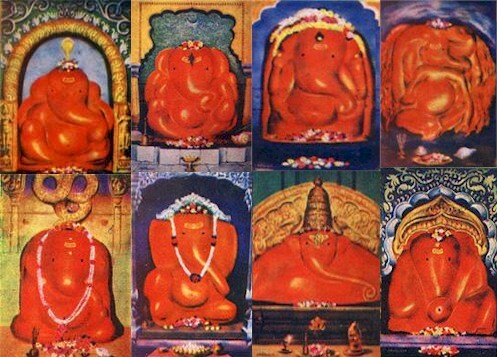 Lenayadricha Girijaatmaja is considered to be one of the Ashta Vinayak shrines of Maharashtra, celebrating eight instances of legends related to Ganesha. The legend surrounding Ganesha's birth speaks of Parvati creating a young lad from the dirt of her body, who later on came to be worshipped by one and all. Parvati desired to see this lad as an infant, and to achieve this objective resorted to meditation. Her desire was granted and Ganesha is said to have reincarnated himself as an infant and lived in the Lenayadri hills for 12 years. Several legends are associated with his life here. The Temple: An irregularly carved image is the object of worship here. This stone temple, and is located on a hill accessed through a flight of 238 steps.